Bad pictures, but pictures nonetheless. If you are Aimee - DON'T LOOK. Unless you like to spoil surprises. I put together a little package for a friend who is unfortunately on bed rest right now. 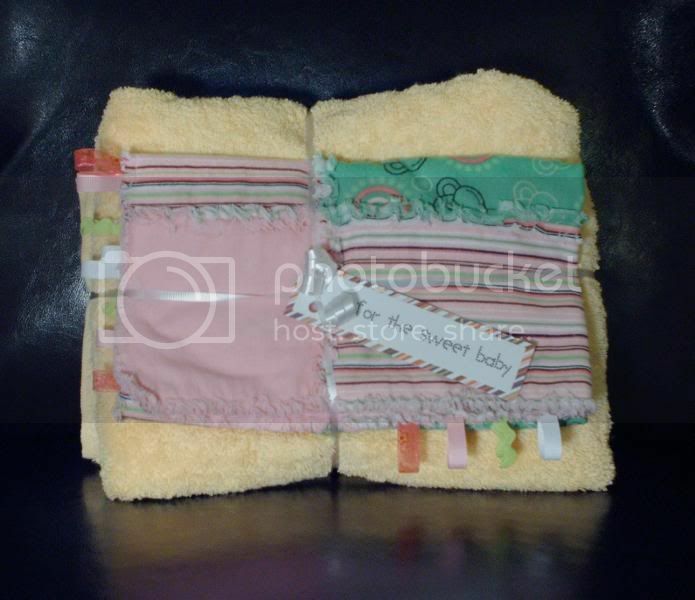 First we have the gift for my friend's baby girl, due in March. It's a Rags N Tags blanket and a hoodie towel. 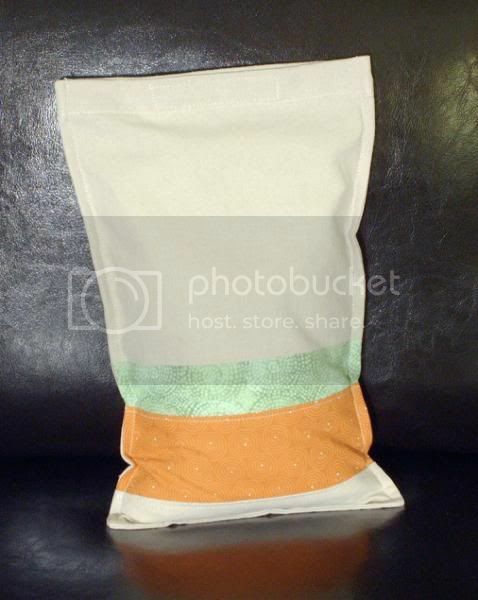 Then for the mom, a rice heat therapy bag, from this tutorial. With a couple modifications, of course. 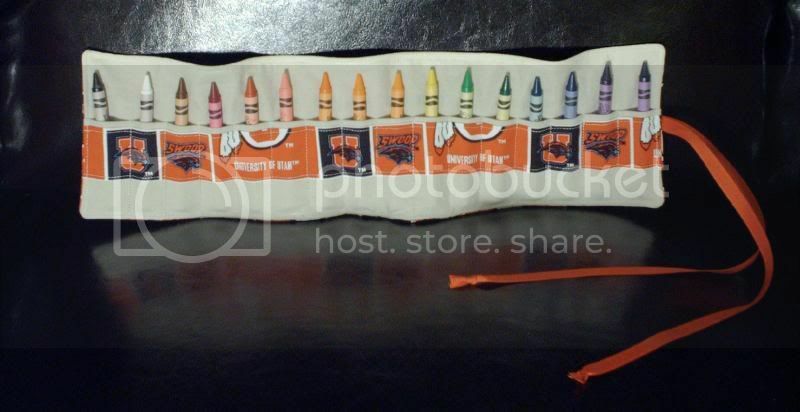 And then for the big brother, a crayon roll: He's a big Ute fan and I'm happy to continue the indoctrination. I'm going to be mailing it out tomorrow. I'm so grateful for flat rate boxes because I don't want to know how much it costs to send 2 pounds of rice in the mail!